HobbyStock has just confirmed that they postpone the anticipated Nendoroid Complete File‘s release to June. 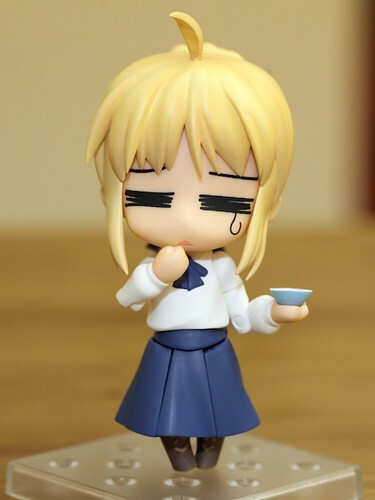 Anyway, for a quick refresher: Nendoroid Saber: Casual Clothes version is included with Nendoroid Complete File book, priced at 5000 Yen and initially scheduled for May release, and now it has been delayed for another month. Any thoughts about it, Nendonesian? This entry was posted in News and tagged anime, bundle, fate stay night, gaming, nendoroid, saber. Yeah, in the end it’s ok cuz it’s more time to save money, May is expensive nendo month… June will be probably. Can’t wait for Saber tho! Wish we’d keep getting more full sized Fate Nendos of anything!